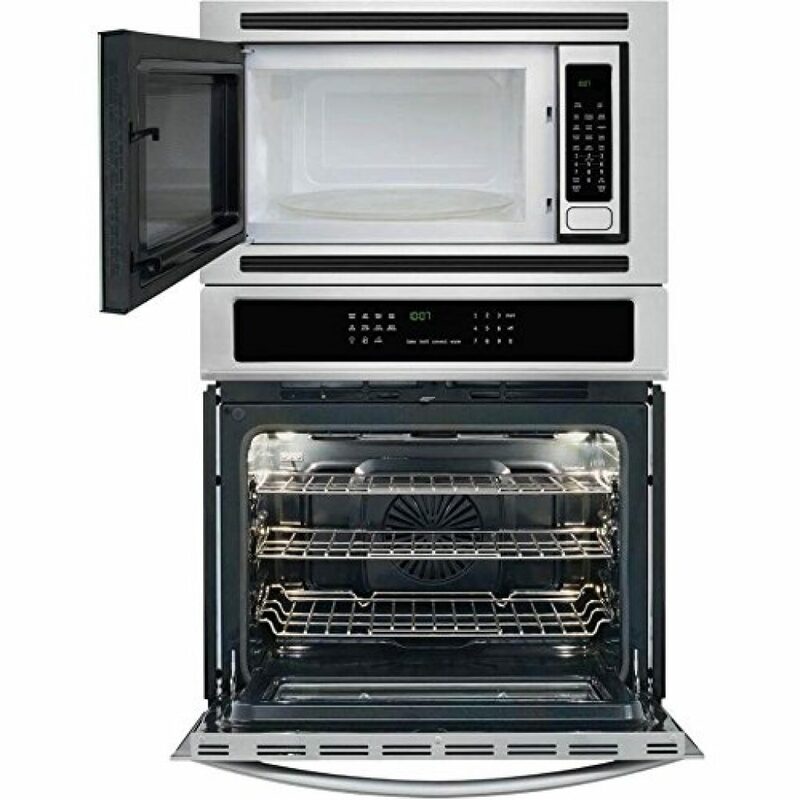 Call it what you will – oven, range, stove, every kitchen needs something to cook meals on or in. We can’t always live on microwave meals and take outs, right? 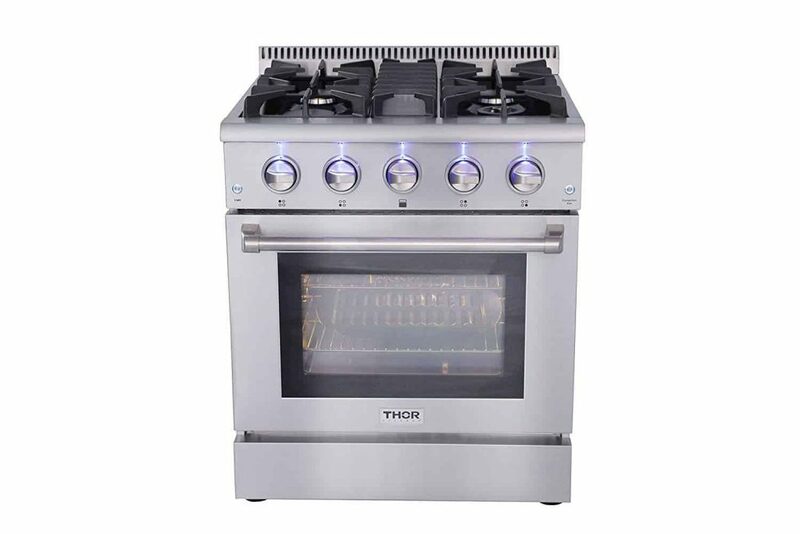 Most electric ranges measure approximately 30’’ wide, 26-28’’ deep, and 47-48’’ high, including the backsplash, and have a 3-4 cu ft oven capacity. However, there is a size to suit every situation, from small spaces to large designer kitchens. 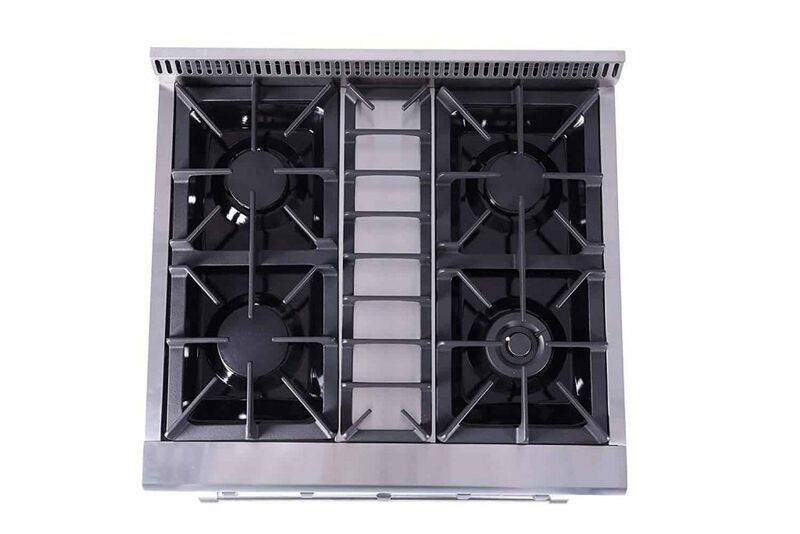 Most have four burners on the top, but professional style ones can have 6 or more, possibly with grills, warming drawers and broilers added too. The type of appliance, dictated by the space available, is the next thing to consider. Freestanding ranges can be placed anywhere in your kitchen, and with panels on the front and sides, they look good from any angle. The backsplash usually includes the control panel, and timer. Similar to freestanding models, but these have a built in look, and have been dropped, or slid, into the space allocated. 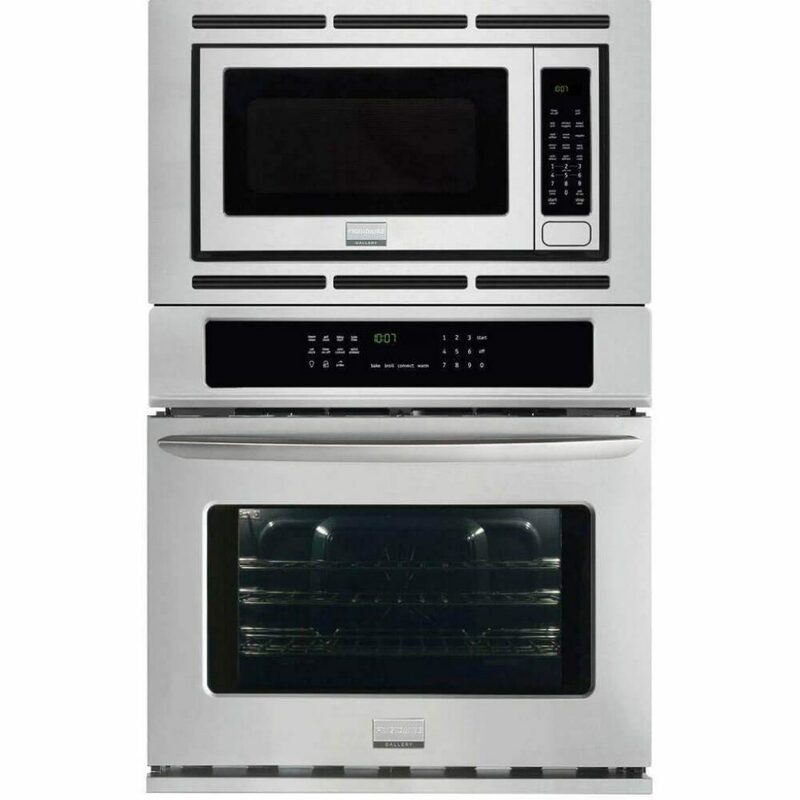 These large models have two ovens separate ovens that can be controlled independently, and are great for a larger family, or entertaining. Wall ovens are built into tall units and are generally flush with all surrounding surfaces; however, as there is nowhere to fit the top burner section, this will have to be installed into a countertop. 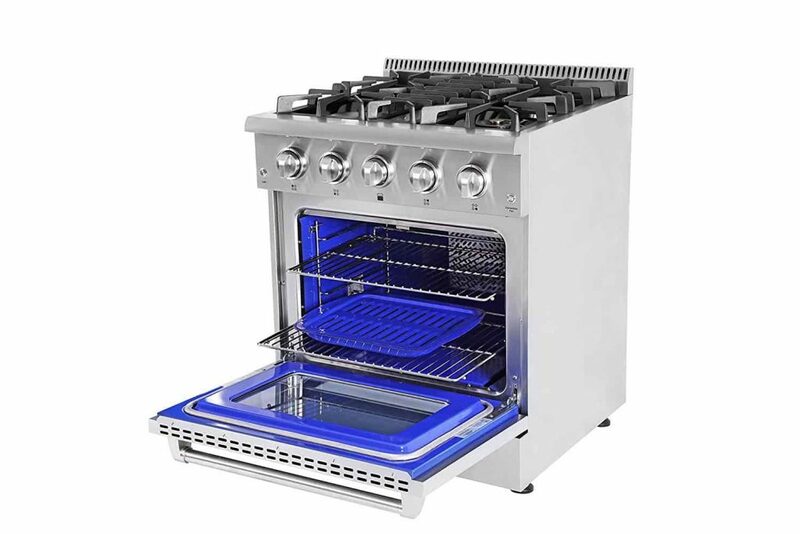 This type of oven is becoming increasingly popular. 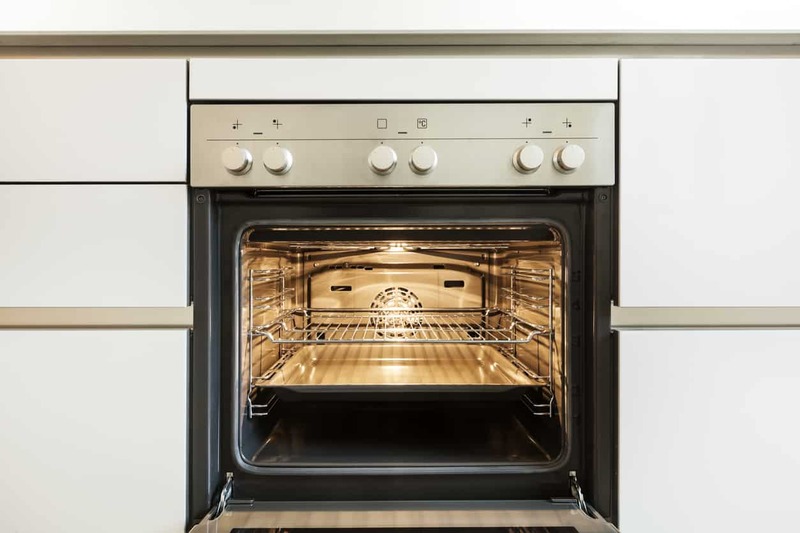 No one likes cleaning an oven, and although a self-cleaning model may cost a little more initially, because they tend to have better insulation they will save on running costs over time, and definitely save on effort. Fan assisted ovens use a fan to circulate the heat throughout the oven space, which shortens cooking time. 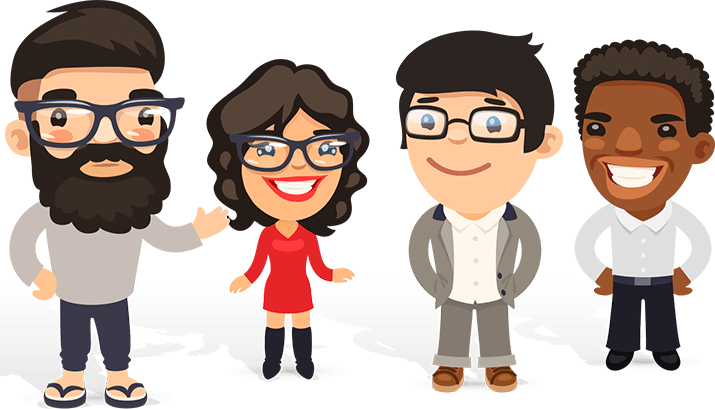 Many newer models are being designed with microwaves included in the main body, and a few manufacturers are even making ‘smart’ ovens that can be remotely controlled via your smart phone. Thor Kitchen have developed a great looking stainless steel range, and it felt solidly reassuring once unpacked and installed. It’s a good size for a family, has plenty of space on the top rings, and is easy to clean. With no hassle at all, we were able to cook meals for all the family. 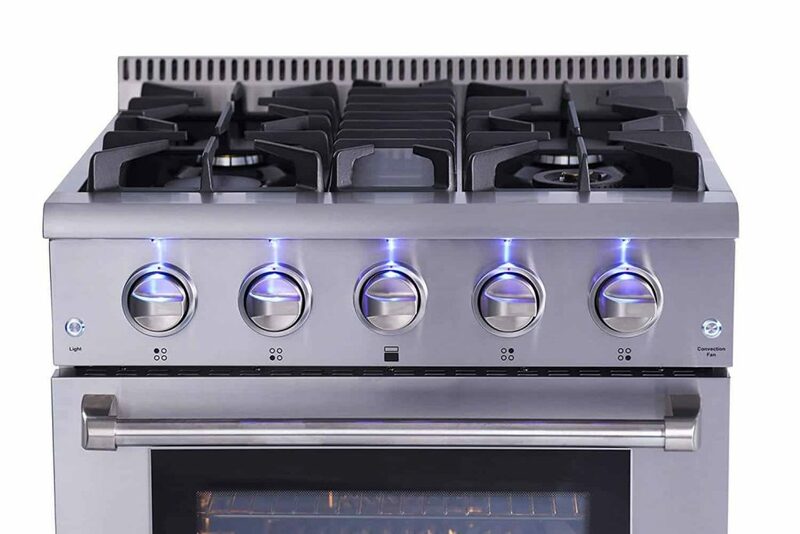 With plenty of interior space, super powerful burners, and easily adjustable, responsive controls, this is a really useful range cooker. We also love the blue interior – it appeals to our sense of coolness. The ‘clicks’ from the ignition starting can sound a bit loud, but that’s nothing to worry about. This smart and professional looking range is a great addition to any kitchen and being freestanding, can slot between your units easily. It can handle large three course meals without any hassle or fussing, and we’re happy to recommend it. This arrived ahead of schedule and, although we installed it ourselves, it was easy to do, only taking a few minutes. GE Profile have made a lovely, clean lined wall oven, which fits perfectly and is well made. The instructions are very simple to follow. 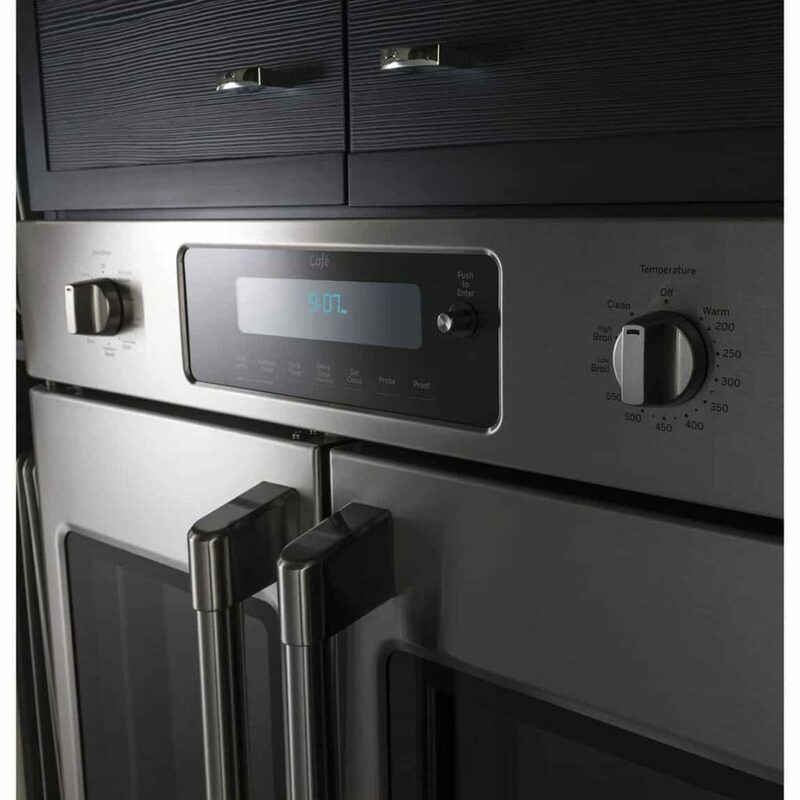 The controls are pretty self-explanatory and simple, including the digital timer that switches on automatically if you are out, or cooks for an allotted time, alerting you when finished. The impressively large oven space heats up so quickly, with the food coming out evenly cooked. The beep could be a little louder in order that it’s heard from another room, but it’s really not an issue. This GE model is great – easy to self-install, and within minutes you could be sitting down to a delicious meal cooked in your new oven. The brushed steel looks really smart too. Dimensions (WHD): 29 3/4" X 28 5/8" X 27 3/4"
This arrived ahead of time and took longer to unpack than it did to install. It looks really good, robust and like it can cope with a large lot of cooking. The instructions are clear and simple. 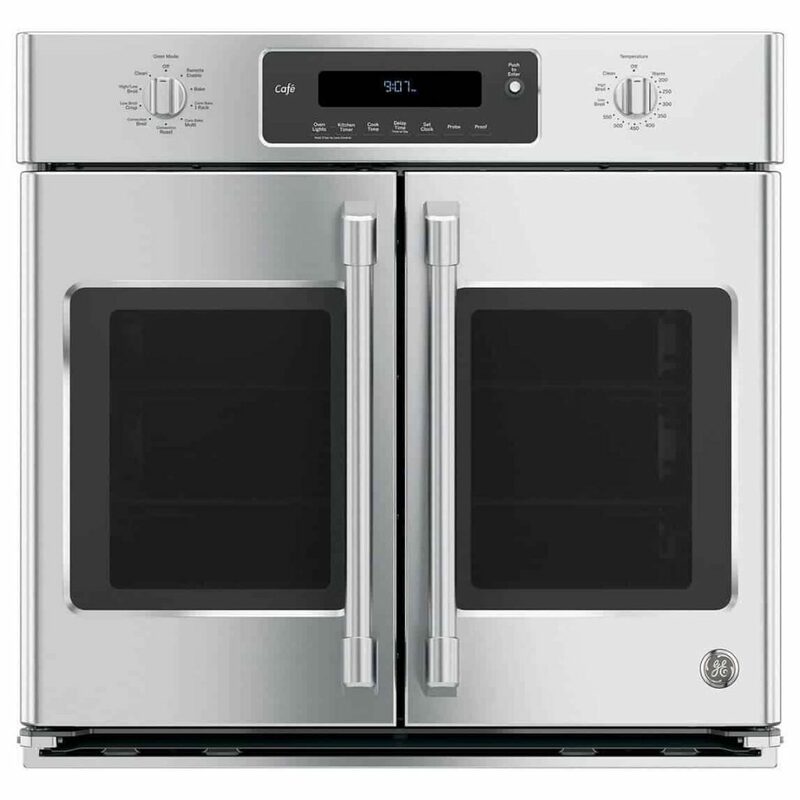 Frigidaire have made a wall oven that not only looks really smart but cooks well too. The pre-heating option is a super idea, and the controls are so straightforward, it was easy to find the right function without the instruction manual. The microwave interior is big– much larger than we’ve ever seen, and it could easily handle a chicken if we wished. This oven comes with a quick pre heat option, it’s self cleaning and all the controls are one touch for convenience. The Frigidaire is fully UL certified. The microwave could be quieter, but at least we know when it’s on. 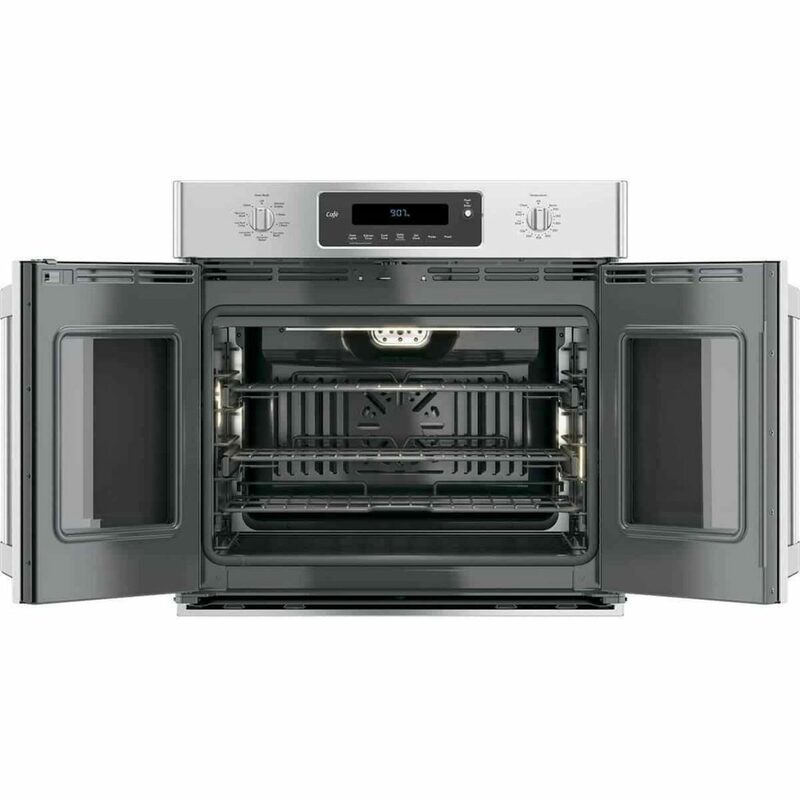 An excellent wall oven combining the benefits of a microwave with the functionality of a convection oven. A superb addition to any kitchen.